Las Vegas Motor Speedway, Nellis Dunes, or one of our many other attractions . . ."
This was our first time to stay at Nellis AFB or to spend any time in Las Vegas other than driving through it on our way somewhere else. 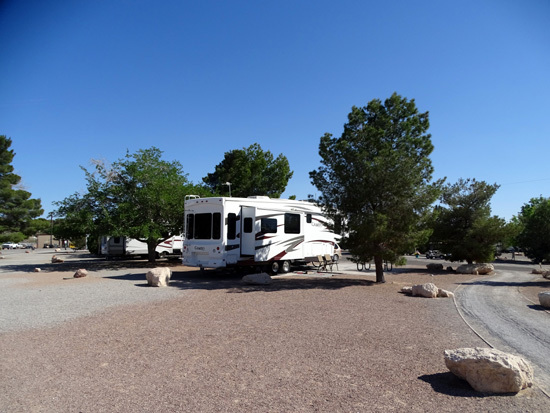 We found enough to do in the area -- and liked Desert Eagle RV Park enough -- to probably return again sometime in the future. 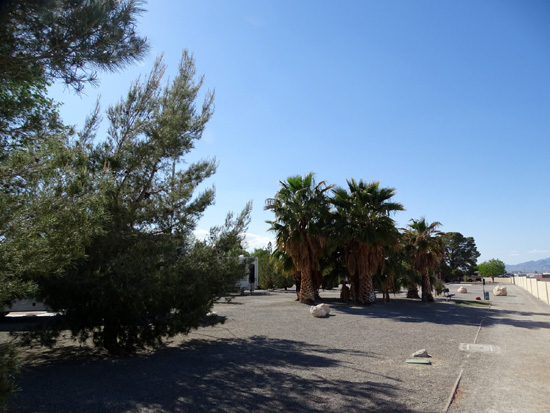 This entry will cover our drive with the Cameo 5th-wheel coach from China Lake Navy Air Weapons Station near Ridgecrest, CA to Nellis Air Force Base in North Las Vegas, plus information about the base and the attractive RV park. Nice place to visit in the fall, winter, and spring! 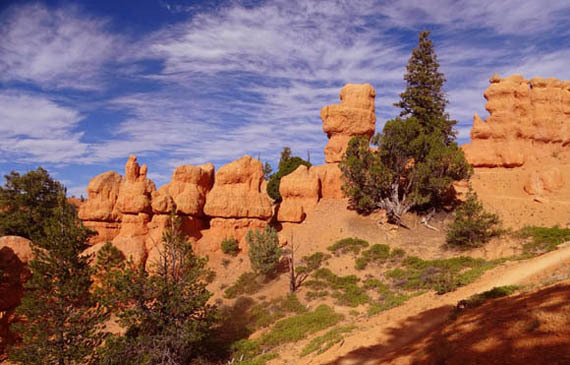 Subsequent entries will focus on the most interesting places we visited during our week's stay -- Red Rock Canyon National Conservation Area, Lake Mead National Recreation Area, and Valley of Fire State Park. The 254-mile drive yesterday, a Sunday, was rather unpleasant for both of us in our separate vehicles. The route we took was hilly, the roads partly two-lane, and the traffic much heavier than we expected for the weekend. 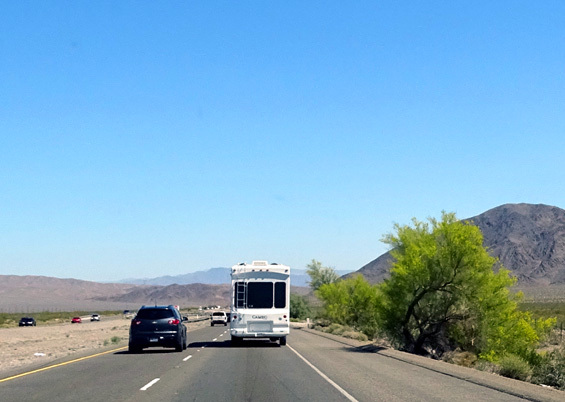 Even though most of the time Jim was going a little over the speed limit for large vehicles, he had to pull over with the truck and camper several times to let impatient drivers pass before we reached the freeway. I was following him in the Odyssey minivan as usual, and left room between my car and the Cameo so people didn't have to pass both of us at once. When Jim pulled over, I pulled over, too. Heavy traffic going south on I-15, too; note the unusual road name and the dry lakebed in the distance. My main problem, however, was the broken sliding door window I described in a previous entry when vandals broke in to steal my bike and some other belongings while I was hiking on the Pacific Crest Trail two days ago. Although we covered the large window with cardboard and duct tape, little shards of glass were still coming out of it and the air pressure in the car was screwed up at highway speeds because of the gaping hole. 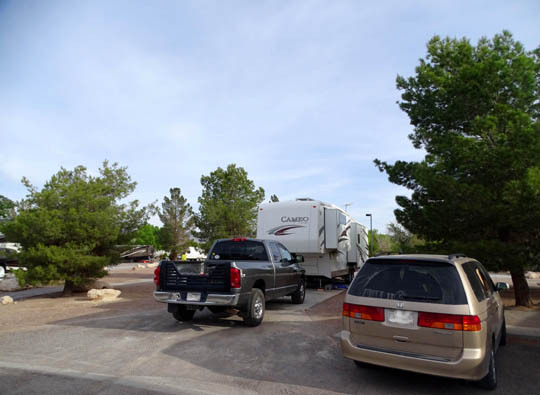 I had a major headache when we finally got to the RV park on base. Today we got the window repaired at a Safelite shop in Las Vegas a few miles from Nellis. Now it looks just like the original and has a lifetime warranty. 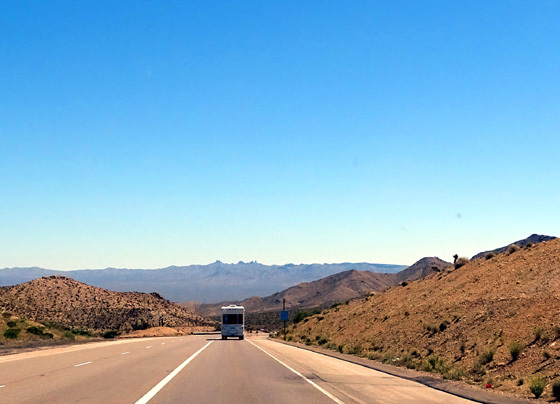 This route through the Mojave Desert was the most practical way for us to travel with a large RV. A more scenic route with a smaller rig or in a passenger vehicle would have been to go north from Ridgecrest through Death Valley National Park and east to Las Vegas via one of the highways you can see on the map above. Since we visited the park several days ago, we weren't interested in driving through it again with the Cameo. 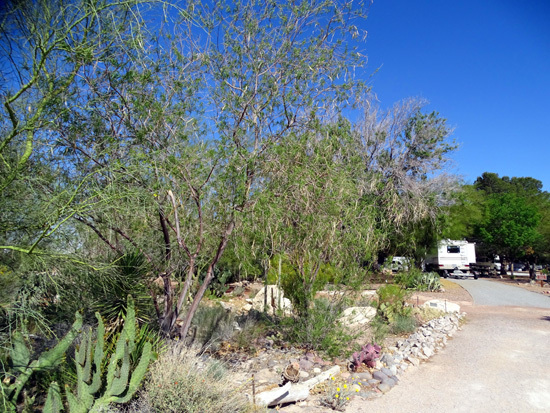 In addition, several miles of the road between Ridgecrest and the park are currently torn up for repaving and would be even more obnoxiously bumpy with the camper than they were in the Odyssey. Our curving route south of the park was hilly but the roads were in good condition. The terrain was rather desolate much of the time, with sporadic desert flowers, some unique rock formations, and distant mountains to add a bit of interest along the way. We dropped below 2,000 feet elevation in the Mojave Desert Preserve on I-15 and had two long, gradual climbs to as high as 4,700 feet. To reach the campground we followed the rather circuitous but accurate directions for RVers to take off I-15 for about three miles. 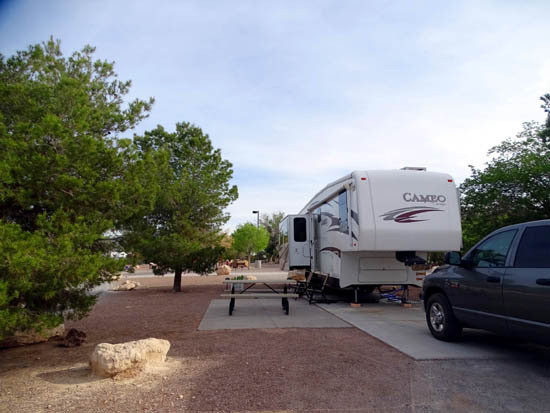 We were instructed to enter and exit with the camper via a different gate than the main one, although we used the main gate for our forays into the city and up to the Valley of Fire when we were in our car or truck. As soon as we drove around three sides of the campground on our way to the entrance, I was in love. 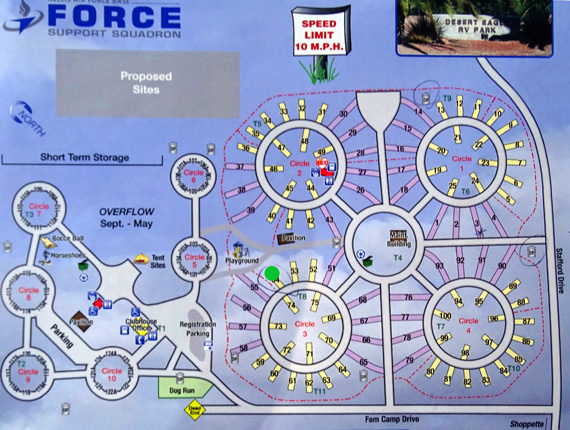 This is not like any other military RV park we've visited, and we've been to about three dozen so far. There are lots of large trees, other nice landscaping, and many of the full hookup sites are large -- REALLY large! I read that they were previously occupied by mobile homes, then transformed into RV sites, similar to what they did at the Marine Corps base at Twentynine Palms, CA. The sites on the insides of the circles are plenty spacious but smaller than the ones on the outside. We have 50 amps of electricity, water, sewer, a decent WiFi signal, and good TV reception (no cable) for $22/night. There is no weekly or monthly rate. Reservations can be made six months in advance and visitors can stay up to six months. Since it's a military base, only folks with military connections can stay here -- active duty personnel, National Guard, reservists, retired, 100% DAV, and DoD civilians. A sandy path encircles the four large loops, a distance of about a mile. 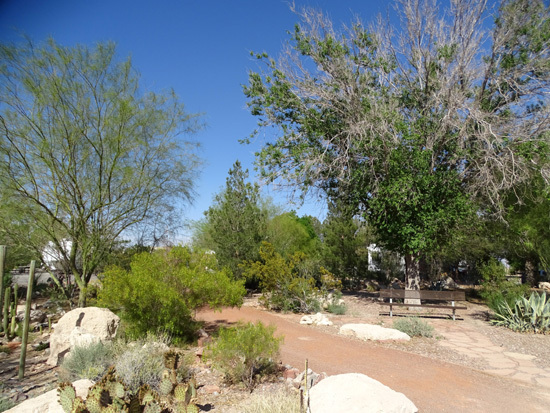 I walked Cody on that path two or three times a day and enjoyed seeing other RV sites, flowering shrubs, and all the attractive landscaping along the way. Our site is adjacent to a spur path from our circle that connects to the loop around all the large circles. Casey loves to sit outside and watch people go by; she smiles and wags her tail, generating attention. The more people who say hi to her, the happier she gets. Soon her tail is wagging her entire body! 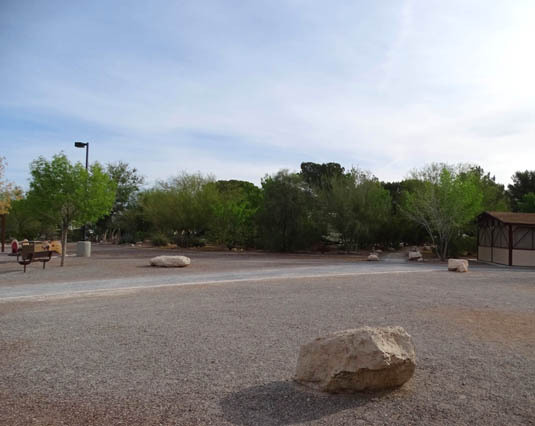 There is a grassy, medium-sized dog park near the campground office. We didn't see any dog poop lying around. 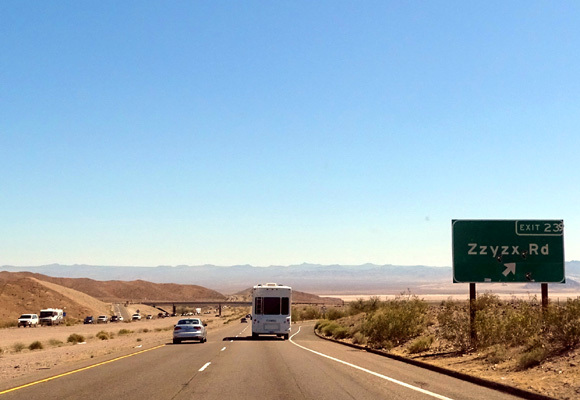 Unlike Twentynine Palms, people appear to obey the rules around here. The whole place looks great. 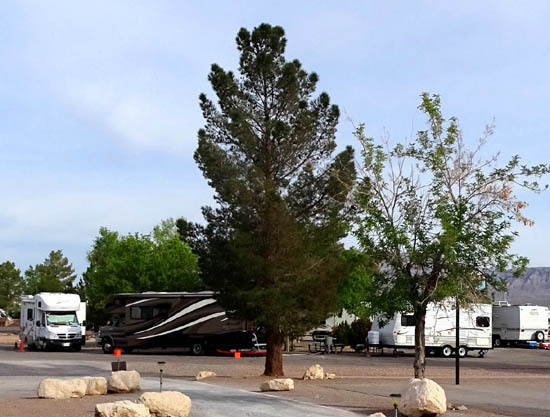 That's why I say, Desert Eagle puts the "park" in RV park! 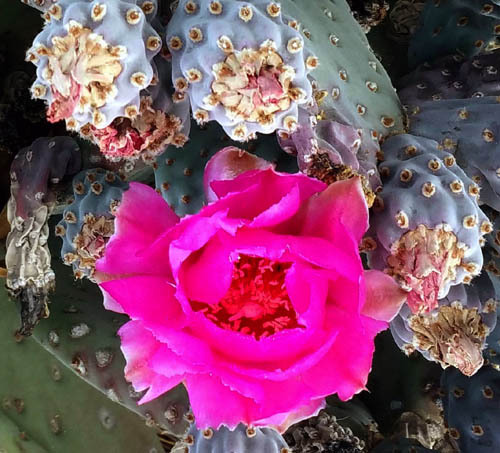 beavertail cactus blooms, plants we often saw in the southern Sonoran Desert. What isn't great are the partial-hookup sites around the outside of six small circles, like a wagon train circling a campfire. Each circle has eight sites. 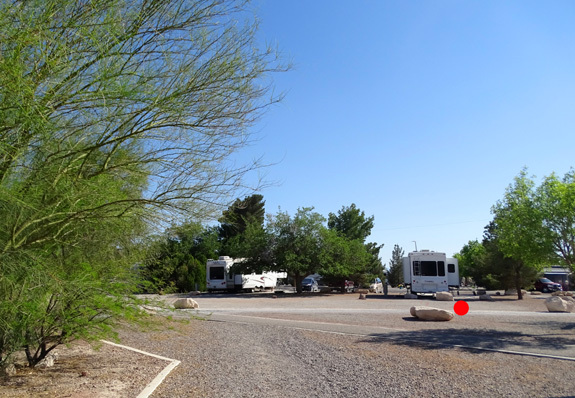 You can see them on the RV park map above. 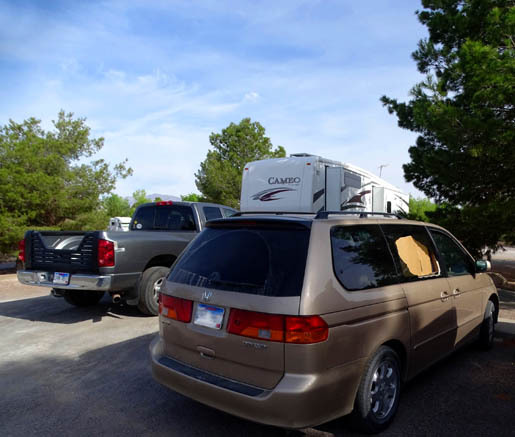 Most people park with their doors toward the inside of the circle for more privacy and safety when stepping outside because the other side of the camper is right on the street. Others park with their doors on the street because the hookups are on the inside of the circle. These sites aren't suitable for larger rigs like ours. The sites are tight and tow vehicles and toads must be parked elsewhere. I wouldn't want to be parked in one of them even if we had a smaller RV. 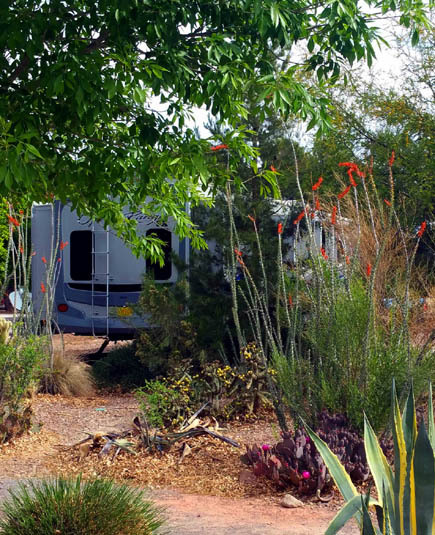 Because this is a very popular RV park, there are plans to add a lot more sites in the next year or two in a large space currently being used for RV and boat storage. 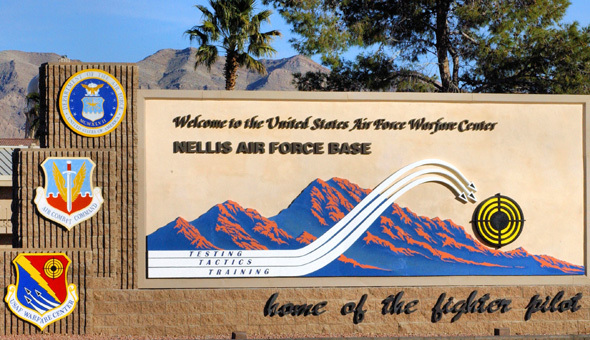 The land area of the units of Nellis AFB that are located in North Las Vegas are smaller than some of the other military installations where we've stayed but they are only a part of the larger military operations in this area. Nellis's mission is advanced combat training for "composite strike forces" in conjunction with air and ground units of the Army, Navy, Marine Corps, and allied forces. 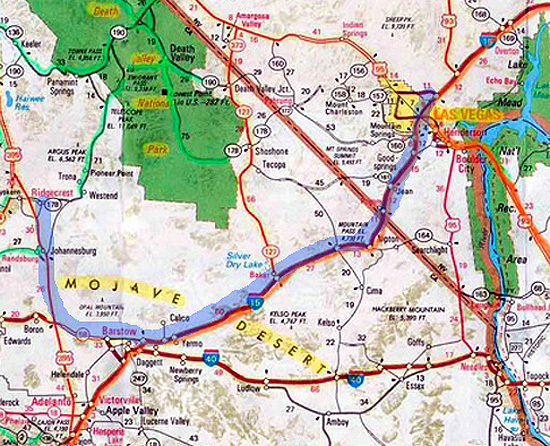 It supports operations at Creech AFB, the Tonapah Test Range, and the Nevada National Security Site. 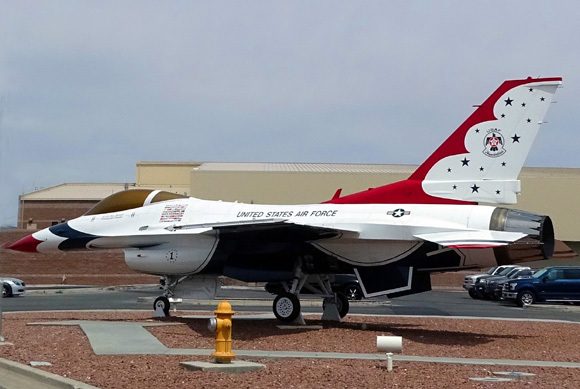 Nellis reportedly has more squadrons than any other U.S. Air Force Base. Of course, even military retirees like us aren't allowed in many areas of the base. In the week we were here we traveled all over the parts of the base where visitors are allowed and utilized some of the facilities. We shopped at the commissary and very large base exchange -- big enough to sell furniture and appliances, along with all the other usual goods and services available at well-equipped military bases. We also used the Post Office and car wash on base, and got lunch one day at the food court. We got our absentee voter ballots notarized at the legal services building. Over the years we've gotten other legal work done for free, like wills and powers of attorney, on bases around the country. That's a nice perk for retired military veterans. 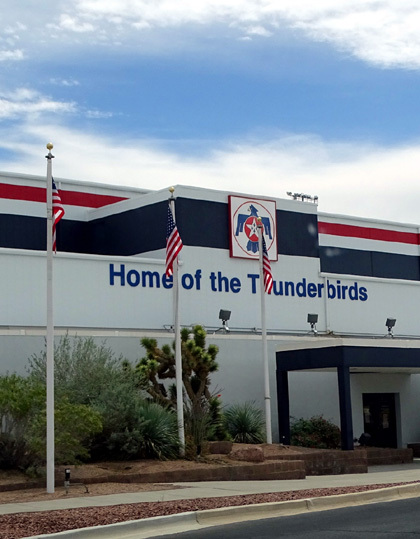 We drove past the flight line and Thunderbird building several times. Early in the week the jets were parked outside but they were gone to a show somewhere by Thursday. We've seen them train and perform on other bases. The Thunderbird Museum is being remodeled and hasn't reopened yet, so we didn't get to tour it. Non-military visitors are allowed on base to tour the museum when it's open. 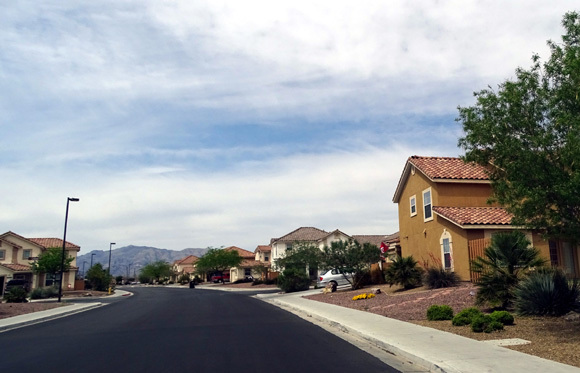 Unlike most base housing we've seen other places, most of the houses at Nellis have the occupant's name and rank displayed on a sign in front. The two generals' houses are very nice, as are the other officers' residences. 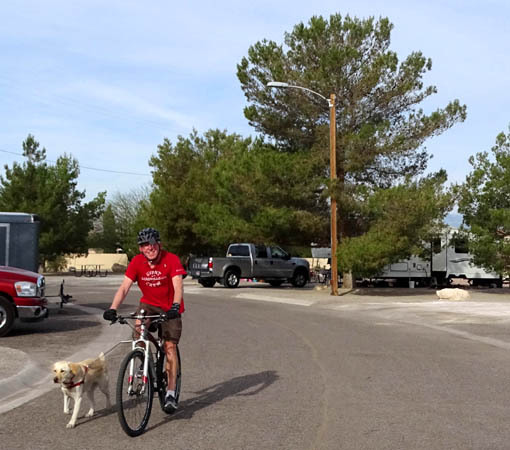 While we were at Nellis we also went off-base to shop at REI, a bike shop, Safelite, Sam's Club, and Walmart. The nearest Super Walmart is about eight miles away, Sam's Club about four. Sometimes we can get gas and/or diesel cheaper on military bases but this time they were less expensive at Sam's Club. Several days this week were rainy. It's odd for us to get wet and see puddles again after having so little moisture in the various desert locations in southern Arizona and California where we've been traveling the past seven months. The average annual rainfall for this area is only about 4 inches. One evening this week a local news station showed photos of flooding in Las Vegas after the northern parts of the city near the base got up to 1� inches of rain in one storm. We didn't have our rain gauge out but there was some heavy rain on base that day, too. 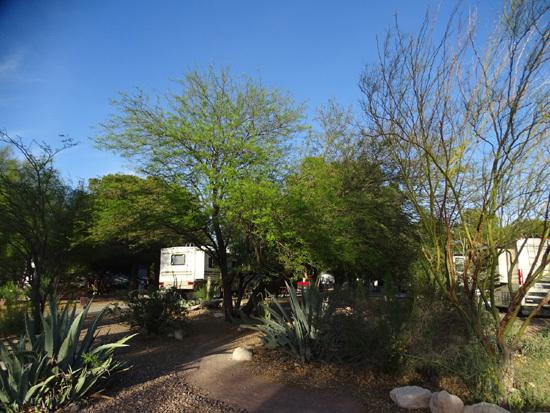 Fortunately, the gravelly sites in the RV park drained well and stayed fairly dry. 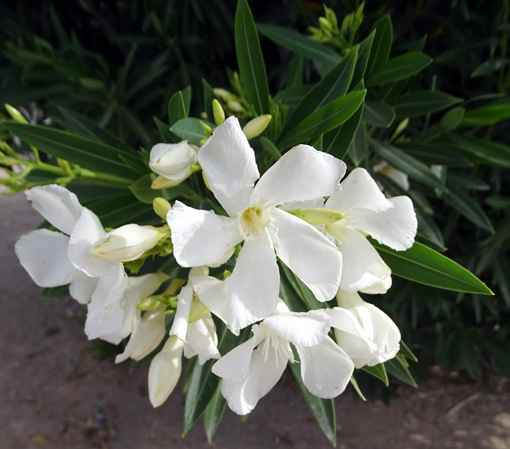 We were able most days to get out and do the activities we wanted to do while we were in the area.